I have a lot of friends who are stay-at-home mothers. I only work outside the home part-time during the school year and don't make a lot of money so I kind of consider myself a partial stay-at-home mom too! One thing I have noticed is that stay-at-home moms don't always value their contribution to the family as much as they should. 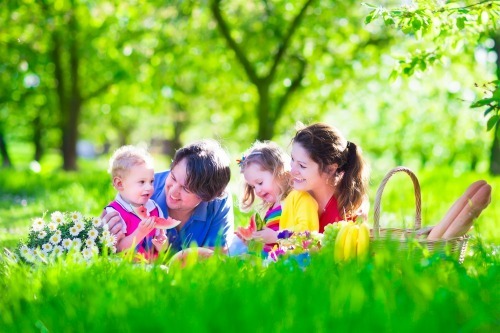 An area that is often overlooked for stay-at-home moms is life insurance. 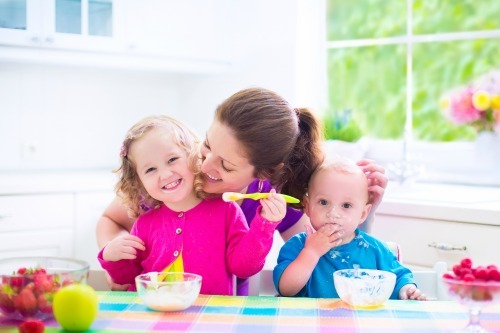 Here are five reasons stay-at-home moms need life insurance too! Most of the moms I know who stay home have some kind of side job. Some of them sell products from home or they make crafts for Etsy. The list of creative ways that women make money at home is endless. If you weren't around to bring in that extra money would it affect your spouse's ability to continue with the same budget? Even small amounts of income count! Don't underestimate the importance of your financial contribution. Unfortunately, most of these freelance jobs will not offer any kind of life insurance. If you are staying home with young children and something happened to you who would take care of the kids while your spouse worked? Chances are good that the kids would have to go into daycare. Daycare is EXPENSIVE. It would be a strain on your family's budget to suddenly have to pay for daycare for one or more children. If you had life insurance then it would be an easier financial transition. Did you know that the average cost for a four-year-old in center-based child care is nearly $13,000 a year or approximately $1080 per month, with costs of care ranging much higher for infants? It is amazing how quickly that can add up. Another cost you cover is probably cleaning and cooking. It would be hard on your spouse to work full-time and do everything you used to do. Your spouse may need to hire a housekeeper to help out or do some food service programs for meals. These are all costs that you cover now, but wouldn't be covered when you are gone. Your contribution is valuable is many ways. I know it isn't fun to think about not being around anymore, but as parents we need to be prepared. If I were to pass away I want the security of knowing my husband will have insurance money to cover the cost of my funeral and any time he has to take off work due to my passing. It is a comfort knowing that the bills will be paid while he helps our children with my loss. This would be very hard to do without life insurance. Most families do not have thousands of dollars sitting in an account in case of their death. Many women work freelance jobs from home just so that they can put money into their children's college savings accounts. We are always thinking about how we can help our children be successful in life. If you weren't around to continue contributing to those accounts, would there be enough money for your child's college? What if you had life insurance that could help cover those expenses? It would be a huge reassurance to know your kids were taken care of in the future. The last reason stay-at-home moms need life insurance is so they can leave their children a legacy. I hope that when I am gone I can leave some money to my children. If I don't have a life insurance policy that won't be possible. I would like to leave a legacy of love to my kids through our life together and also financially. A lump sum of money that could help them buy a home, adopt a child or even just help others, which would make me so happy!! I have had several people in my life that have wished they could go back and insure their spouse. I have seen friends have to move into a smaller home because they couldn't afford it after their spouse passed away. People have had to change their entire lifestyle due to the death of a spouse that was not insured. These are things that could have been prevented. Don't put off getting life insurance until it is too late to help your family.